"It was a tough tour," said Shastri in an interview with ESPNcricinfo. "And tough lessons to be learned. Deep down we know in every Test match barring Lord's we had our chances. Lord's we lost and Nottingham we won. In the other three Tests we had our chances big time. "There are plenty of positives to take away, but it is time now to address why we have come so close and cannot get past the finishing line, and we have discussed that. 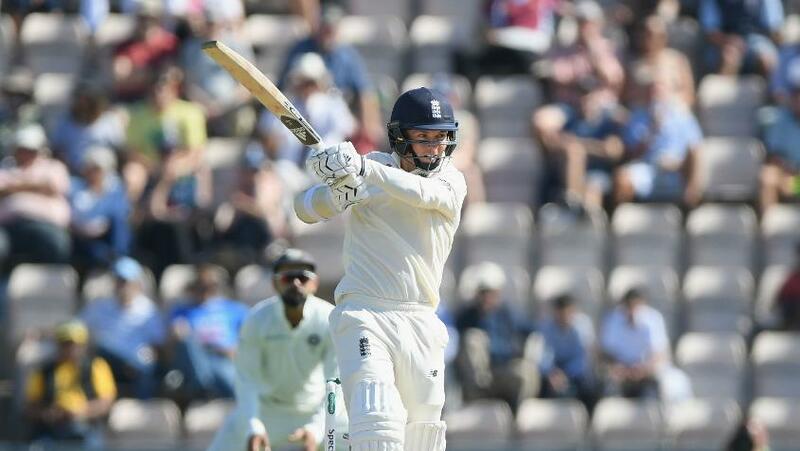 Shastri heaped rich praise on the bowling unit and although it might appear that the batsman failed, the coach pointed out that England's batsmen hadn't done too much better. "[India] got much better as a bowling unit... As far as batting goes, it was tough for both sides. When the ball moves around so much and it seams, I don't care who the batsman is, it is going to be tough. "A moving Dukes ball will test anybody. So it took us time, but we got better at it as the series went on. As opposed to guys who are born and bred on these [pitches] who still struggled all the way. That is reality, which should be accepted." "India kept repeating mistakes. "@VVSLaxman281 looks back at the #ENGvIND Test series. Shastri felt that one way to address the challenges faced in overseas conditions would be to play a higher number of practice games. India had played just one shortened practice match ahead of the England series, but Shastri insisted that his team simply didn't have the time to squeeze in any more games. He added that India would be looking to play a couple of practice games when they tour Australia later in the year. "When you have a schedule as tight as this and when you have a memorandum of understanding that has already been formulated, with a choc-a-bloc calendar, there is very little you can do [in terms of scheduling practice matches]. Now, we have requested for a couple of [warm-up] games in Australia before the Test series." "Sam Curran hurt us more than England did"
"Look where Curran has scored, and, that is where he hurt us. More than England it was Curran who hurt us," Shastri said. "In the first Test, England were 87/7 [in the second innings] at Edgbaston, he got the runs. In the fourth Test, they were 86/6 [first innings] in Southampton, he got the runs. We were 50 for 0 [first innings] at Edgbaston, he got the wickets. So at crucial stages in this series he chipped in with runs and wickets." A 4-1 series loss could badly dent a team's confidence, but Shastri asserted that India would remain positive, adding that the team is heading in the right direction. "[I'm the] last one to press the panic button when I see so many positives. I head back home with a very positive state of mind. I know exactly what we do. I know exactly and clearly where the team is heading - it is heading in the right direction."